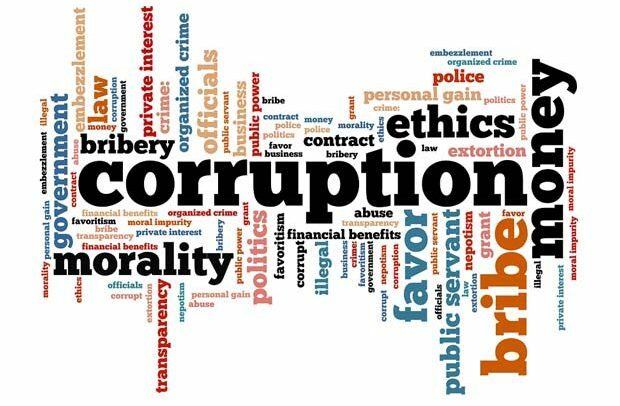 The corruption war cannot be won when those at the frontlines are overwhelmed by the interventions or intercessions of traditional rulers, the clergy and prominent personalities in society. It has been the case for many years now. When so-called important personalities, mostly politicians or even businessmen with links to the corridors of power commit offences bordering on corruption, they are quick to contact traditional rulers – preferring the most prominent among them to plead with the relevant personalities to leave them off the hook. This must stop now otherwise we should forget ever winning the war. Those who are culpable must face the law as established unless we are paying lip-service to the campaign against corruption; the law must be applied regardless of whose ox is gored. We must go beyond the rhetoric and allow such agencies as the Special Prosecutor and others to work; free from the hindrance of intercessions. A few days ago, Special Prosecutor, Martin Amidu parried such efforts by delegations which had come to plead on behalf of Hon Mahama Ayariga who is the subject of a special investigation. We might have to conclude that corruption is but a permanent feature of our country and so we just have to live with it when those who should gird their loins and join in the fight against the cankerworm allow themselves to be used to thwart such important probes. Those who allow themselves to be used by suspects and subjects of investigations to go and beg so the cases would be dropped are by their action impeding the course of justice and should be held liable for prosecution. The case of Mahama Ayariga and other politicians who would soon make dates with the Special Prosecutor should be watched by all Ghanaians. They are test cases regarding the health of our law enforcement system vis a vis the new direction the President has laid out, among others, the creation of the Office Of The Special Prosecutor. We do not want to delve into the details of the breaches which have brought this otherwise honourable gentleman before the law. That, indeed, is not the purpose of this commentary. We are rather concerned with the acts of some persons which if not checked would reduce our efforts at curbing corruption to nothingness. We have so far not seen any punitive action against convicted persons. That is because the cases are still in the docket stage; not yet at trial stage let alone for judgment to be passed. One of the factors which accounted for the victory of the ruling New Patriotic Party (NPP) during the 2016 general election was its pledge to tackle corruption head-on. President Akufo-Addo would depend on his appointees to execute his governance agenda. Mr. Martin Amidu must be congratulated for not giving in to the intercessions. By his action, he has sent a strong message to traditional rulers and others with a similar agenda of pleading on behalf of those entrapped in the corruption web not to dare attempt the trip to him.